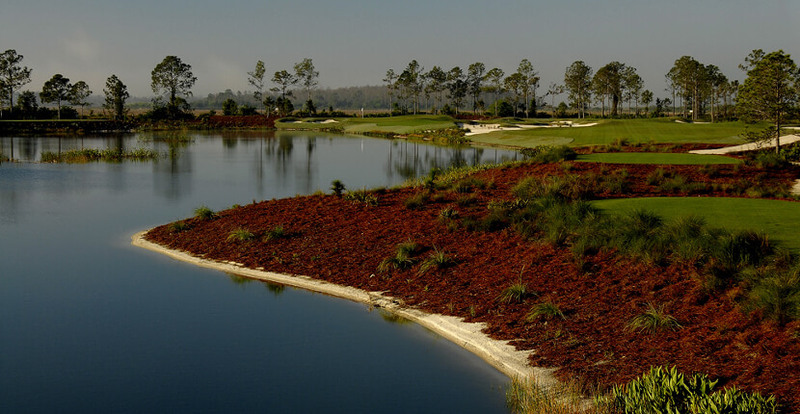 The Jack Nicklaus-designed golf course is located in Estero near Fort Myers and is a short drive from Naples. 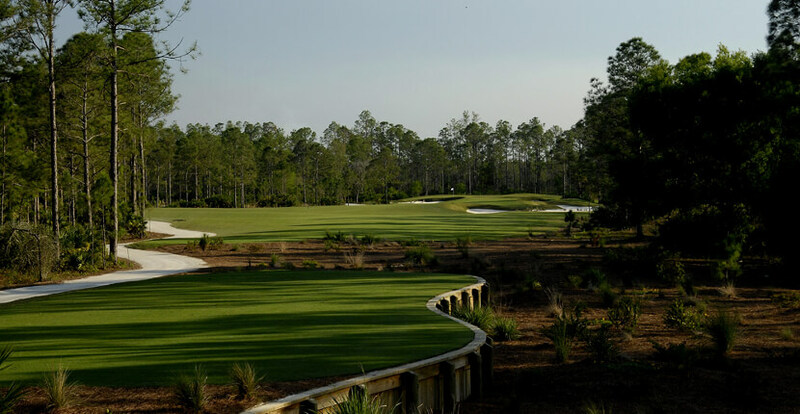 Carved out of the forested Florida environment in Estero, the Old Corkscrew Golf Club offers challenging golf in a secluded area surrounded by natural beauty. 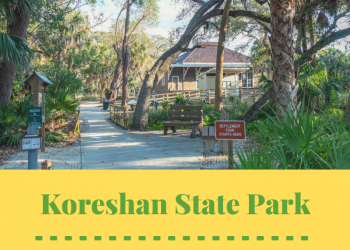 Taking its name from the winding Corkscrew River nearby, this lush semi-tropical location is beautifully enhanced with established stands of cypress, lofty pine trees and swathes of waving prairie grass. The Old Corkscrew Golf Club is a conscientious guardian of its pristine 275-acre location and carefully observes the Audubon International Environmental Standards. 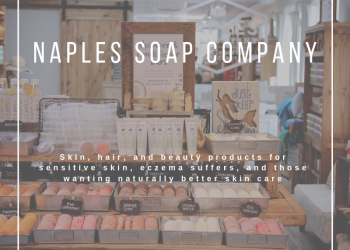 Named as a certified Audubon Cooperative Sanctuary, it continues to respect and protect the natural environment, being aware that just 2% of all golf courses meet the strict standards required by the Audubon Society. Rather than restricting the golf course, this rich natural setting wonderfully enhances the 18-hole, par-72 championship golf course. 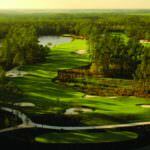 Designed by Jack Nicklaus, this non-residential Signature Course was designed to blend with the existing natural assets including many mature oaks and pine trees. The 7,400-yard course has a slope rating of 142, providing an interesting game for even the most experienced golfer. This top rated Jack Nicklaus Signature Golf Course advertises itself well as “Nicklaus Nature Nirvana” and it delivers nothing less. 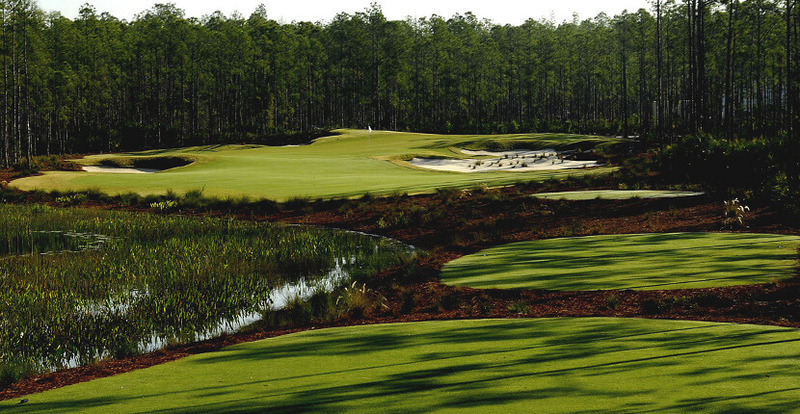 With absolutely no residential onsite development, the golf course helps preserve this pristine area as a green environment for Florida flora and wildlife. It is a prime nesting area for egrets, herons, and endangered wood storks. The undulating greens are known to be fast-paced and can be up to 20 feet above the lush fairways with some tricky hole placements. 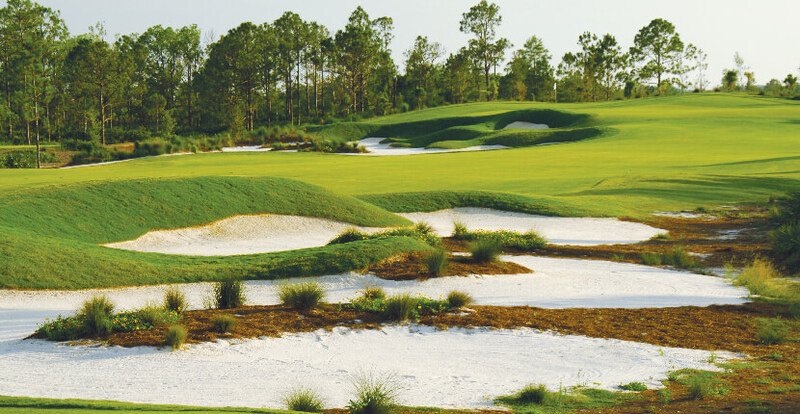 Generously wide open fairways are framed by established trees and strategically placed bunkers. Sand traps and water on almost every hole add to the challenge of the Old Corkscrew course. This award-winning private golf club opened in 2007 and offers reciprocal golf memberships options and “Member for a Day” programs for visitors and snowbirds. Amenities include the Mike Calbot International Golf Studio providing pro-golf lessons and instruction for those wishing to improve their game. Mike has over 39 years of experience teaching golf and his renowned expertise as a golf trick shot artist shows he practices what he teaches. His coaching skills have allowed him to work alongside some of golf’s legends including Greg Norman, Sandra Palmer, Nancy Lopez, Jack Nicklaus, Ken Ventura, Nolan Henke and many others. 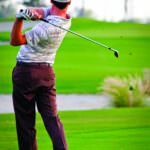 However, his procedures and techniques are equally suitable for the novice golfer looking to start out playing correctly and quickly elevating their skill level. Gift certificates and hourly bundles of lessons are offered by the Golf Studio. Private lessons, golf workshops, video golf instruction, golf schools, junior programs and corporate events are all offered by Mike Calbot, better known as the “The Golf Doctor” after his long-running TV series. In addition, the golf club has a driving range and Pro Shop where clubs and cart rentals can also be arranged. Dress code is standard golf attire; denim and metal spikes are not allowed on the course. Win or lose, the Clubhouse is the place to end your game at the Old Corkscrew Golf Club with a bar, full dining or casual specialties from breakfast sandwiches to hot dogs.